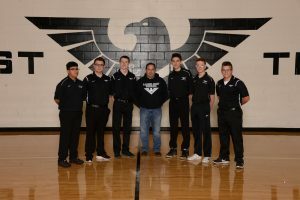 The Thunderhawk boys bowlers are trying to turn-around their season after a rough start. Their record doesn’t necessarily reflect the competitive results and effort they have displayed so far this year. The team earned what is always a very satisfying goal of defeating their district rival, Lakota West this week. They hope to continue to improve as they approach tourney time. The Lakota East Athletic Department would like to extend their sincere thanks to EL CAPORAL MEXICAN RESTAURANT for their support of Thunderhawk Athletics. Many thanks to owner Pedro Meza and his staff for their valuable contributions to our student-athletes this season. Please visit locations on Cincinnati Dayton Road, Liberty Township and Tylersville Road in Mason for the finest Mexican food and drink in the Tri-State. Click here or above to visit their website. THANK YOU EL CAPORAL FROM EVERYONE AT LAKOTA EAST ATHLETICS!